Updated Friday February 8, 2019 by Ryan Feeney. Mariner Youth Soccer and Old Rochester United are pleased to work together to bring a February Vacation Skills Academy to the South Coast. It will run from Tuesday February 19th to Friday, February 22nd from 9am - Noon and the cost is $125. A full day option with a lunch provided by Tabor Academy will be available for $200. The full day clinic will run from 9am - 3pm. A camp t-shirt will be provided. All players will be required to have proper attire, including shin guards, and indoor soccer shoes/sneakers. 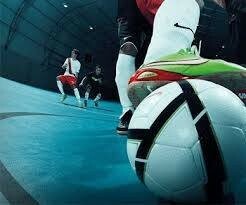 A futsal ball is required to participate in the Academy, and can be purchase through the checkout for $25. The professional coaches will be teaching futsal on the courts at Tabor Academy. The game of futsal focuses on quick passing, movement and superior foot skills, that will translate nicely when the players return to the field this spring. To register head to www.marineryouthsoccer.com and please click on the red register now button on the top of the page. You will need to log in or create and account, and then please select the 2019 February Skills Academy.